Many New Yorkers enjoy the change of seasons and welcome the crisp winter months, but after a while, winter can become a bit tiring. By the time January hits, most of us are exhausted from all the stress and business of the holidays and are ready for a change. There’s nothing better than to head for some heat to escape the winter blues. Delux Worldwide Transportation’s limo service in Long Island is the perfect choice to get you off to a good start. Cruising is by far one of the most popular quick winter vacation choice and a great way to escape the cold bite of winter. So, let us say “goodbye” to Jack Frost and dive into some of New Yorker’s favorite cruise getaways which have proven to warm the hearts, souls, hands, and feet! There are three passenger ship cruise terminals around the New York area all with ships waiting to whisk you off with a new destination available to you almost daily. 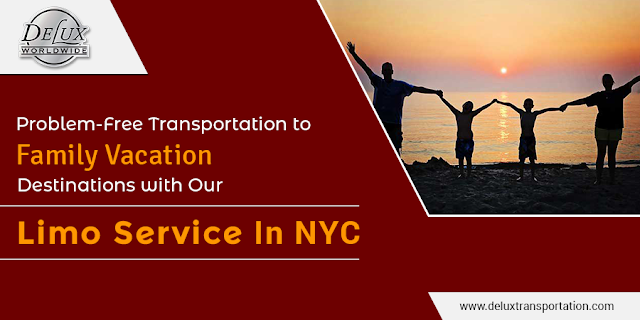 And our airport car service in Long Island can get you there. The Manhattan Cruise Terminal is operated by the Port Authority and has five berths that handle some of the biggest cruise ships in the world. At the moment Cunard’s Queen Elizabeth is getting ready to sail to Singapore via a 78-day sailing calling at Bora Bora, Auckland, Sydney, Osaka and Hong Kong (to name just a few!) before arriving in Singapore. For a trip of significant length, it is important to make sure you have all of your home comforts with you on board the ship. As the luggage is unlimited, this means you can take all that you need with you. Pack clothing for formal nights, and casual everyday wear for boat trips, and the beaches. 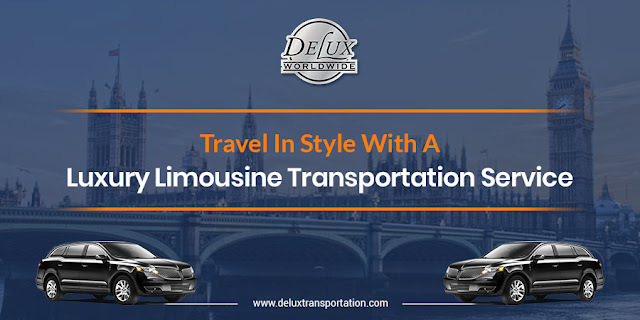 Delux limo service in Long Island offers several vehicles to transport several pieces of luggage. When booking, make sure to mention these details to the reservation consultant. The Brooklyn Cruise Terminal is in the Red Hook area and has added a new full-service cruise terminal on the Buttermilk Channel. Mega-ships outgrew Manhattan port, so we were introduced to The Brooklyn Cruise Terminal in 2006. The Queen Mary 2 offers regular transatlantic service from Brooklyn to England and is a relaxed way to cross the Atlantic. If you frequently travel for business and can operate your business when mobile this is a fantastic way to commute while you work. Ed Sheeran wrote an album while sailing with Cunard on the QM2 in 2016 and I’m sure he isn’t the only person to enjoy mixing business and pleasure! As enjoyable as England is, you won’t find high temperatures in January so the Cape Liberty Port may have more appealing itineraries for sun seekers. Cape Liberty Port is in Bayonne, New Jersey and is home to Royal Caribbean cruise ships with Anthem of the Seas using this as her home port. This January she is taking chilly New Yorkers to the warmer climates of Puerto Rico, Antigua, St Lucia and the Bahamas, among others. 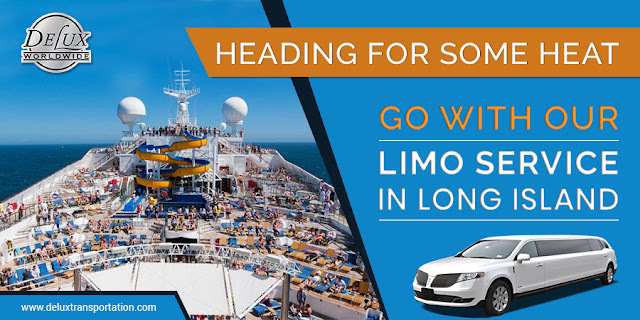 Our limousine service in NYC will arrange transportation from anywhere to these ports. One of the perks of cruising is that you can visit multiple countries and islands without having to change ship or board a plane. Each night as you retire to your cabin you can fall asleep to the rhythm of the waves and wake up in a different port. The Bahamas – The word “Bahamas” alone immediately makes you think of laid-back, sandy beaches. On leaving the ship for the day, you will have a few options. Sun worshippers will no doubt head to the beach. If you want to experience a Nassau tradition, visit the Straw Market. And you don’t need to be an animal lover to enjoy the Blue Lagoon where one can be fascinated by the dolphins. See them in their natural habitat. For culture and history buffs try Fort Charlotte. After visiting the dungeons make sure to take in the spectacular views from the hill over the harbor. Antigua – It is impressive that such a small island is such a large piece of paradise! Antigua is known for its beaches. There are 365; one for every day of the year! If it is your first time visiting the island, you may want to take a break from the beach and explore the other interesting areas of the island. A great way to do this is a helicopter tour. Head to Montserrat volcano, an amazing and exhilarating experience. Nelsons Dockyard is worth a visit. It is the largest National Park that Antigua has and is still used as a working dockyard. Puerto Rico – If sailing has awakened your inner pirate, take a visit to the Bacardi Rum Distillery. A fun day out for grown-ups! If you have a thirst for adventure (and not rum! ), head to the rainforest and experience traveling down the zip-line. You’ll undoubtedly feel revitalized after that. As with all of these beautiful islands, the beach will call you and here you can try your hand at surfing the waves. St. Lucia – This beautiful island has lots to offer, and a great way to explore the coastline is to book a catamaran day sail. There is also a drive-in volcano where you can enjoy a warm mud bath at the Sulphur Springs. For golf enthusiasts, play a couple of rounds of golf. There is a course near to the ship’s port, perfect for those who are all beached out and what a challenge! Start your winter getaway the right way. Reserve one of our chauffeur-driven vehicles to take you to either the airport or one of the cruise ports. 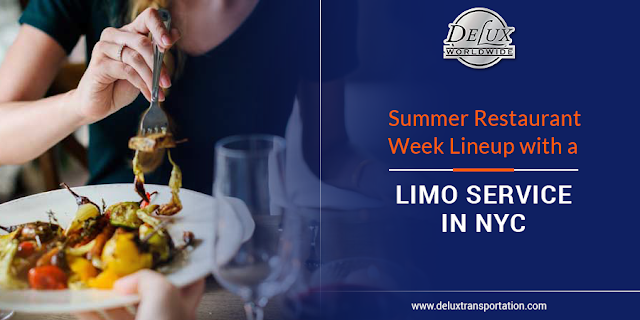 Delux’s limo service in Long Island is the perfect way to ensure you get to where you need to be. We service the entire Tri-State so relax and know you’re in good hands. We are the preferred choice for limousine service in NYC and on Long Island.